The Joint Commission wrote on concerns over violence against healthcare workers in a news alert. 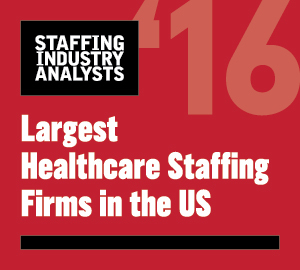 The organization accredits and certifies healthcare operations in the US, including healthcare staffing firms. April was Workplace Violence Awareness Month, and healthcare works are four times as likely to be victimized than other workers in private industry, according to statistics cited by the organization. Contributing factors include patients with mental illness, patients in police custody, long wait times, patients receiving a “bad news” diagnosis, gang activity, domestic disputes and the presence of firearms. •Clearly define workplace violence and put systems in place that enable staff to report violence, including verbal abuse. •Track and trend all reports of workplace violence, including verbal abuse and attempted assaults. •Provide appropriate follow-up to victims and witnesses. •Review each case of workplace violence to determine contributing factors to determine priority situations for interventions. •Develop quality improvement initiatives to reduce incidents of violence. •Train all staff in de-escalation, self-defense and response to emergency codes. •Evaluate workplace violence reduction initiatives. The American Nursing Association lauded The Joint Commission’s announcement.